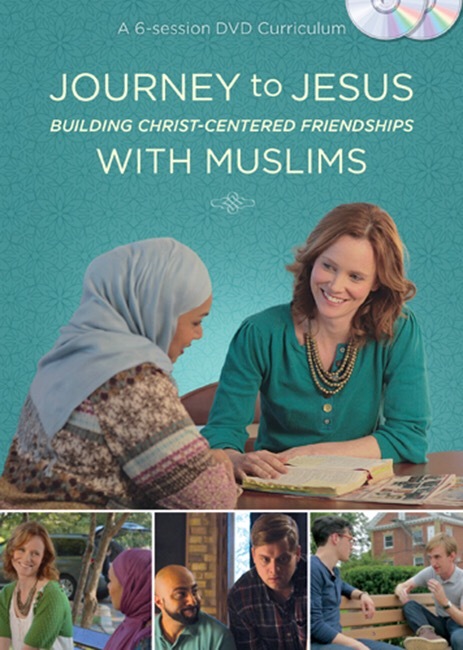 Journey To Jesus: Building Christ-Centered Friendships With Muslims, published by Tyndale, is a 6-Session DVD Curriculum designed to aid Christians in reaching out to their Muslim friends and neighbors with the message of Christ. Each of the six sessions are designed to take less than an hour, but still remained filled with a plethora of information that can be used to begin powerful, Christ-Centered relationships with Muslims, relationships that will change all that are involved. Each session of the DVD is laid out in an easy to use format. There is a 5 minute introductory period that allows for a time to get together and chat. The introduction is followed by a 15-20 minute narrated slide show. The slide is a precursor to the 12 minute mini drama that is tied to that specific lesson. Each lesson is tied to together with a discussion that allows each participant to carry the information in action. This is a wonderful product that has a great potential to changes lives, thus it is recommended for individual or group study. 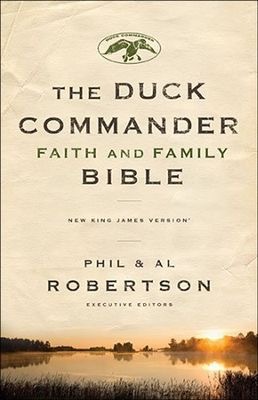 The Duck Commander Faith And Family Bible, executive editors Phil and Al Robertson, published by Thomas Nelson, is a Bible that seeks to interject and utilize the Biblical knowledge of Phil and Al in such a way that it brings its readers to a closer, more focused relationship with Christ. The uniqueness of this Bible is centered around the 125 articles presented by Phil and Al Robertson. These articles bring forth positive, Biblical instruction, in a manner that only the Robertsons can give justice. Their teaching is straight forward, easy to understand, and set on a level where people of all ages can clearly understand. Along with the articles by Phil and Al, we find numerous tools that are common to the average Bible. There are topical indexes, The ABC’s of Salvation, reading plans, supplementary scripture references and so much more. Published in the New King James Version of the Bible, this Bible has the power to transform any life that is willing to turn its pages Thus it is a recommended purchase. 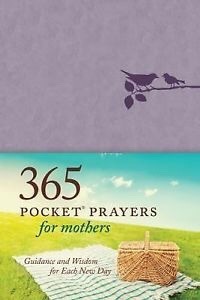 365 Pocket Prayers For Mothers: Guidance And Wisdom For Each Day, authored by: Amie Carlson, Karen Hodge and Erin Keeley Marshall, published by Tyndale, is a devotional centered around guiding mothers into a more intimate time with God as they seek to fulfill their roles. Sometimes in the busy, hectic, life of a mother, it can be hard to find the words to express while on their knees before God, but this pocket sized devotional is an amazing resource that helps them find a way to express the content of their hearts. Each daily prayer begins with a very brief explanation of the prayer that follows. For example, found on page 91, “A prayer about Mercy, When I appreciate your grace.” This is a wonderful idea for two reasons. First, it allows the reader to understand the main point of the prayer that they are about to read. Second, it allows the reader easy access to each prayer in the future, when they feel led to offer up that type of prayer again. Each prayer is complimented with an appropriate scripture, thus tying each prayer to the Word of God and offering some powerful food for thought. This is a wonderful devotional. It would make a great Mother’s Day present, or an any day, because I love you present. If there is a special mom in your life, she would love to have this devotional in her pocket or pocketbook. Thus it is a highly recommended purchase. James 5:6 You have condemned and murdered innocent men, who were not opposing you. Murder is a planned malicious act against another person. It is not what happens in war, for that is killing an enemy. Murder is the taking of someone’s life, the removal of their existence, the cause for them to cease to exist, all done purposefully. We are called to cherish life, even if it is not our own. We are called to have an innate desire to love others, not show them harm. We are called to consider the worth of others whether they can benefit our lives or not. When was the last time you found worth in another person? When was the last time you looked at another person through the eyes of God? James 5:5 You have lived on earth in luxury and self-indulgence. You have fattened yourselves in the day of slaughter. Again we see that James speaking about attitudes. Our attitudes are so important, more important than we realize, most of the time. We walk as if it’s no big deal to have a self-indulgent attitude. We go forward through life acting as if we are the most important people to exist. We see to our own needs. We make sure number one is taken care of while we neglect to do the the work of God as God has prescribed. How can we continue to act in this manner and not expect to be judged harshly as we stand before God? How can we choose to walk this way and see the damage we are doing by setting such a bad example for others? Lord, help me grasp onto a Godly attitude. James 5:4 Look! The wages you failed to pay the workmen who mowed your fields are crying out against you. The cries of the harvesters have reached the ears of the Lord Almighty. James is speaking to Christians that are not being Christian. They know what it means to be servants of God, but they refuse to apply this knowledge. They know what God has called them to do, but they refuse to listen to to His guidance. Some of them refused to follow acceptable business practices, causing their employees to speak out against them and their ways. James says that these words have reached the ears of God. How is God going to handle this information? He will use it in the same manner that He will for any one who has sinned. It will remain within His reach until they stand before Him in Judgment and until they will have to give an account for their actions. Unless they change their ways, the judgment of God will not bring them happiness. Lord, help me become so focused on You that no one will be able to share a single negative word about my existence. James 5:3 Your gold and silver are corroded. Their corrosion will testify against you and eat your flesh like fire. You have hoarded wealth in the last days. When we become obsessed with wealth, when we become infatuated with popularity, when we become drawn to worldly things and ideologies instead of God, we are headed down a path that leads to destruction. Silver and gold are good, but the presence of God within our lives is so much better, so much more beneficial. There are times, however, when we don’t see it this way. There are times when we want everything but the presence of God. When these moments arrive, we must grab onto our faith and hold firmly, knowing that God has the ability to guide and help us maneuver through to the other side. Lord, help me keep my life from being destroyed by my wrong decisions. James 5:2 Your wealth has rotted, and moths have eaten your clothes. There is no teaching within scripture that states a person cannot be wealthy. What the Bible teaches about wealth has everything to do with our attitude in regards to money. For the audience of James, wealth has carried them into a bad position. They enjoy their wealth more than they enjoy God, more than they enjoying living within the will of God. Life brings many blessings, wealth, clothing, stature, families and friends; but none of these should come before God. None of these should come before God. Lord, help me understand what is truly important in life; help me see that it’s You. James is dealing with people who have a unique mindset. They understand what they should be doing, but they refuse to act upon this understanding. They walk and live as if knowing is enough. Within this attitude, James is trying to help them understand that they should not be filled with joy, that they should not be filled with happiness. Their attitudes should, instead, be that of a person mourning or grieving. What exactly should they be mourning? What exactly should they be grieving? We should be grieving and mourning over our eternal placement. If we are not right with God, we should not be filled with joy, for our incorrect lives are leading us straight to an eternity in Hell. Lord, help me discover where I fall short of Your expectations. Help me grieve my sin, so I may become a person that will bring You glory and Honor. Knowing and doing are two separate things. We can know what we should do and never act about this knowledge, thus creating a negative response at our judgment or we can grasp onto the knowledge we have, allowing it to come to life within us and outwardly towards the world. the choice is ours, the choice is simple, but is it a choice we are willing to make? Are we ready to set God first in our lives? Are we ready to make Him our first priority, forsaking EVERYTHING else in His name? Lord, help me forsake everything else as I strive to live completely for You.